I polled my Facebook group about what to share next on the blog and What To Wear for Christmas got an overwhelming YAAASSS! 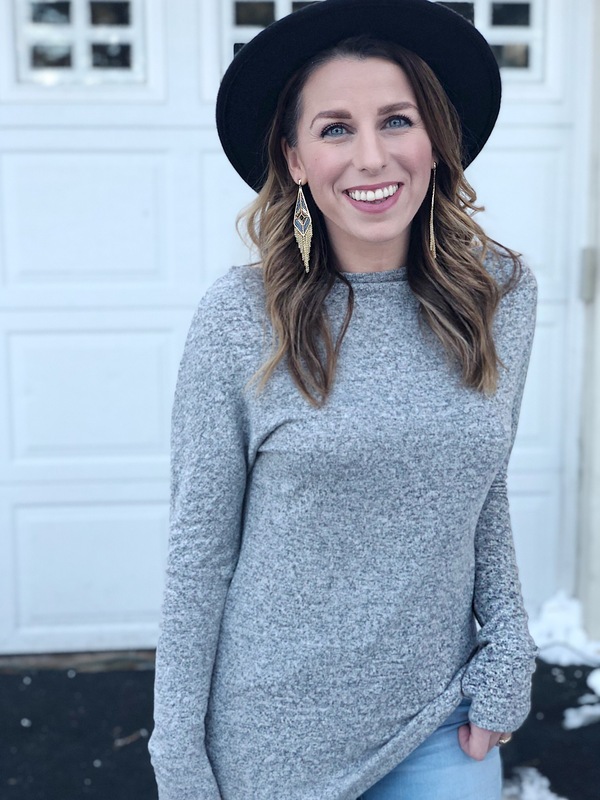 So I headed to my local Old Navy store and rounded up a bunch of Christmas Outfits for every style – whether you hang in your pajamas all day long or if you get all dressed up for the big day! 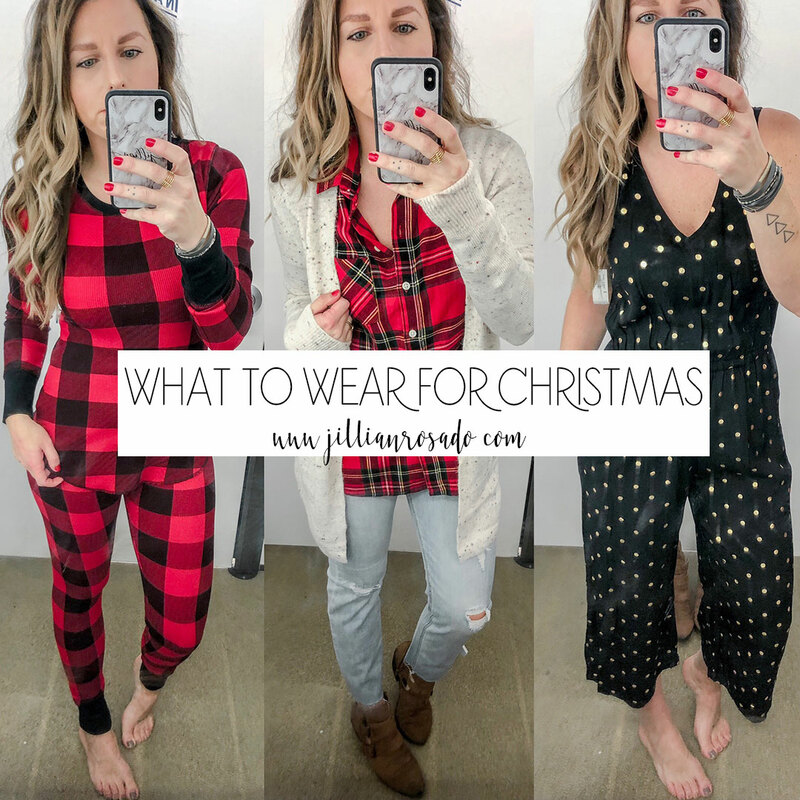 Christmas pajamas are all the rage these past few years and they have a HUGE selection of them! I went with a traditional buffalo plaid thermal set, but there are so many different patterns and styles – even a onesie! I am wearing a small in both the top and bottoms and had plenty of room in them. 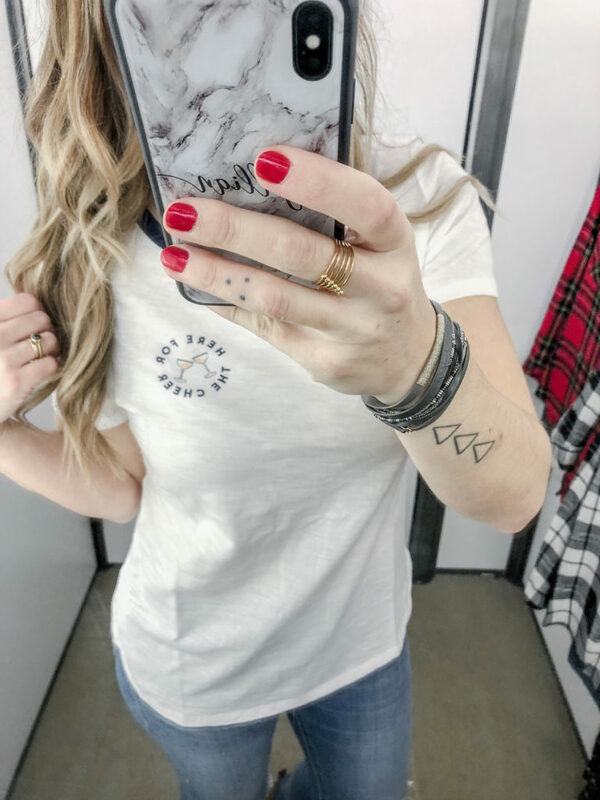 for the gal who is “here for the cheer,” but doesn’t want to get dressed up, I give you, this tee! They have quite a few festive tees to choose from depending upon your Christmas spirit level. I’m wearing a small in this tee. 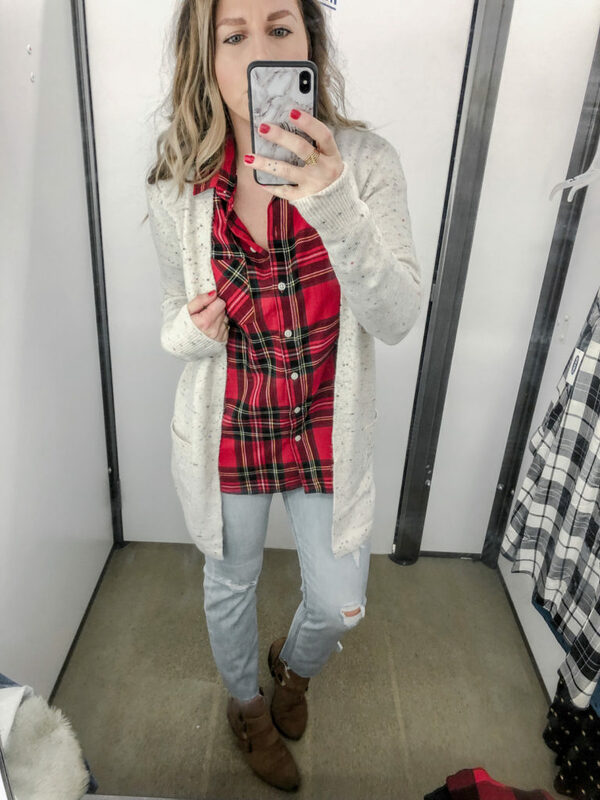 when you wanna be super casual and festive, grab a holiday plaid and add a cozy cardigan for all the feels! 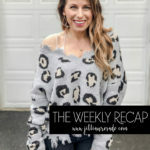 gals, this cardigan is oh so soft! I’m wearing a XS in the cardigan, a small in the flannel and a 2 in the jeans. 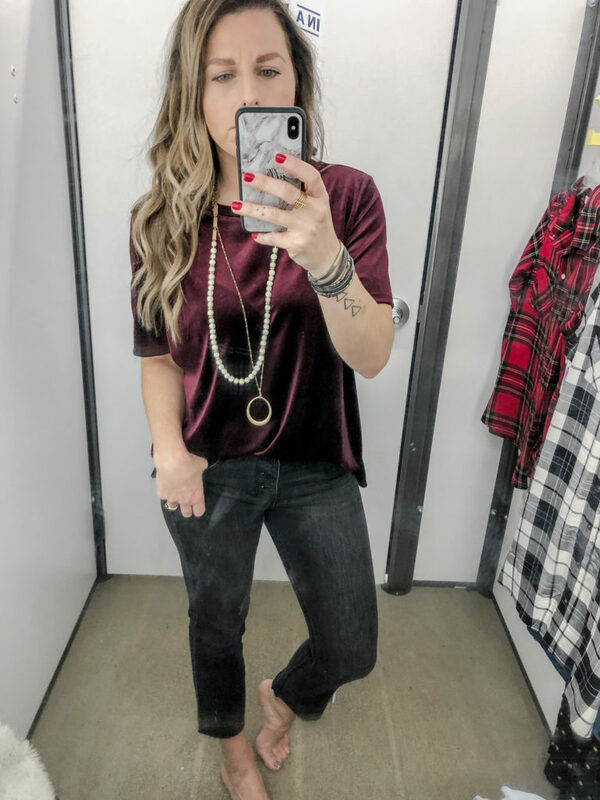 there is no shortage of velvet tops in old navy right now, but I’m loving this plum colored one with some slightly faded, button-fly black denim. 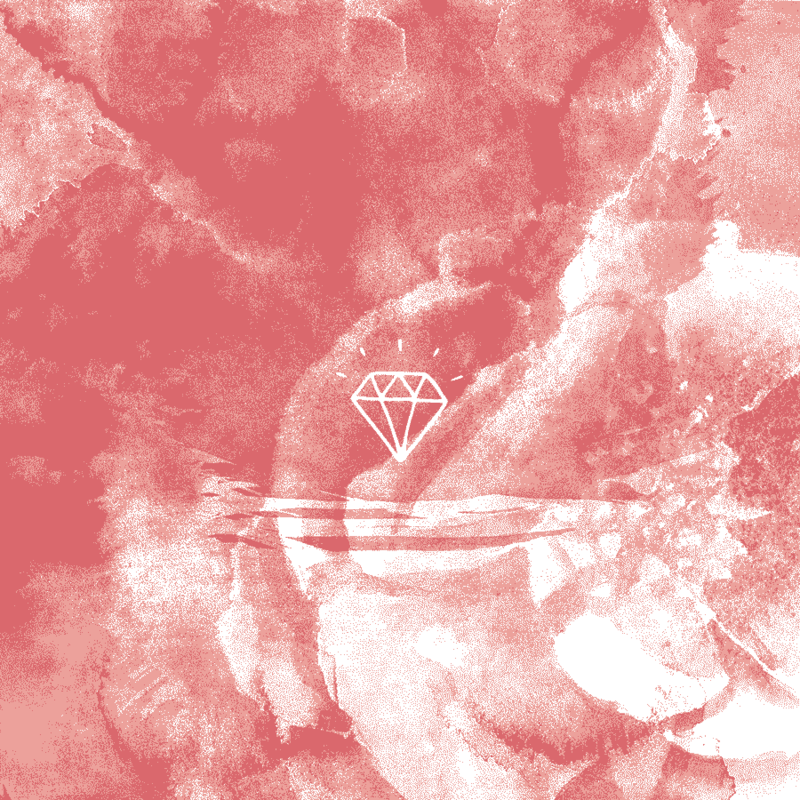 my necklace paired so nicely with this color palette too! 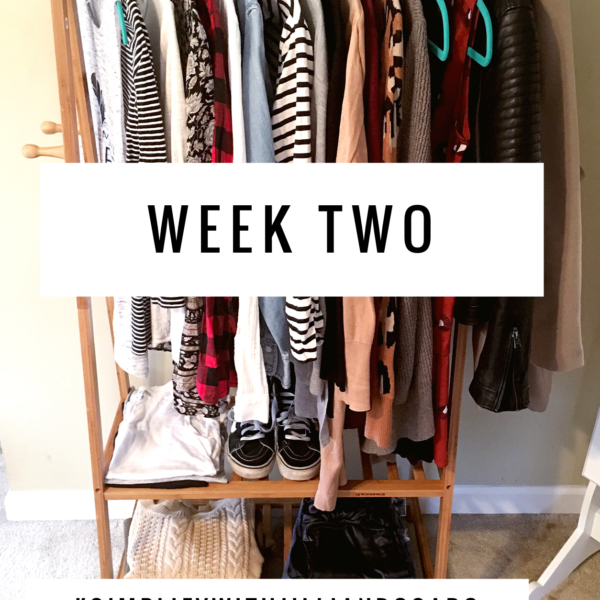 I would wear this with some leopard booties or black ones if you want to keep it simple! I’m wearing a medium in the top (I need a small tho!) and a 2 in the jeans. ok so sometimes jeans aren’t appropriate but you still wanna be comfy. I give you, leggings! these are a thicker ponte knit and they have a wider waistband for a flattering fit! this blouse buttons halfway up (kind of hard to see in this dirty mirror) and would look cute with some distressed jeans too! I’m wearing a small in the top and a XS in the leggings. don’t mind my pale legs. 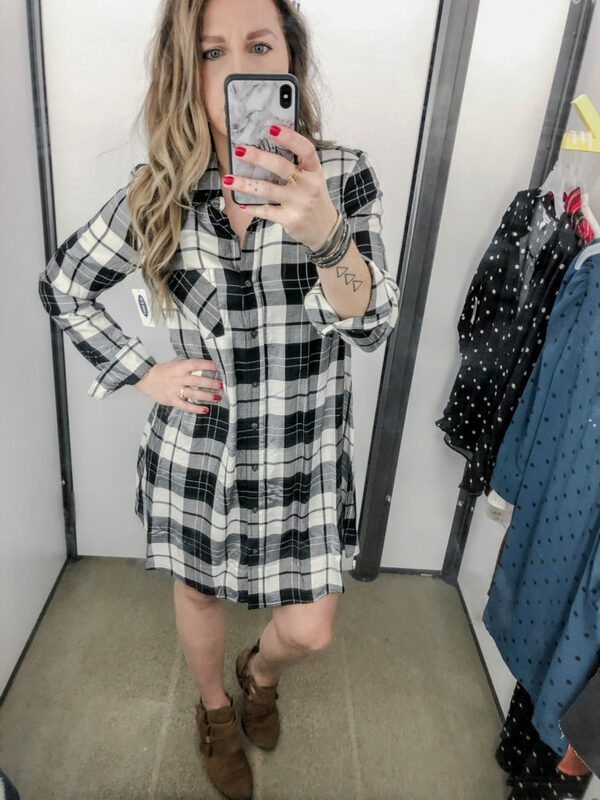 this plaid button-up dress would look supercute for a casual, but no jeans, Christmas. You could belt it or layer a fur vest on top and it would be pretty adorable if you ask me! I’m wearing a small in this dress. 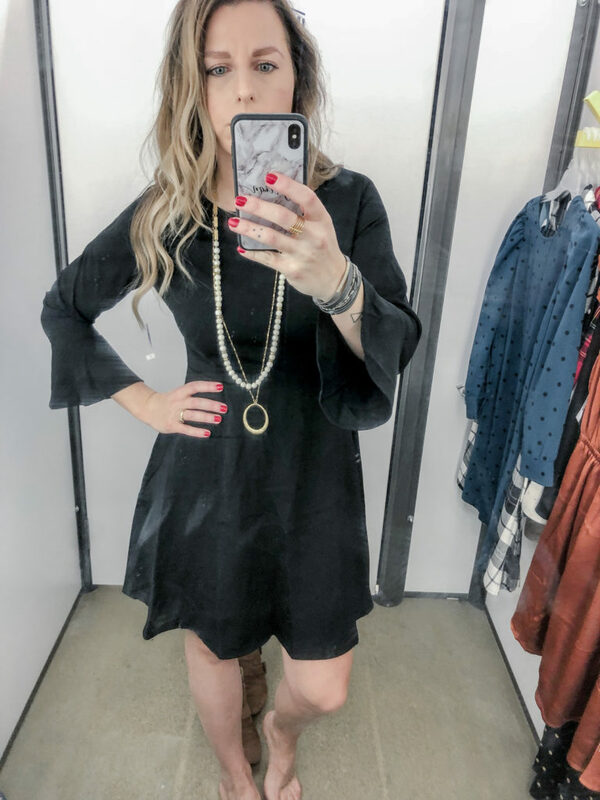 I mean, you can’t go wrong with a LBD, am I right?!! I love the fit and flare silhouette of this one and the trumpet sleeve is just too freakin’ cute! I would rock this with a pair of leopard heels for sure! I’m wearing an XS in this dress. I was drawn to this “burnished ginger” dress for some reason, but obviously had to throw a black moto jacket on top bc that’s how I roll. 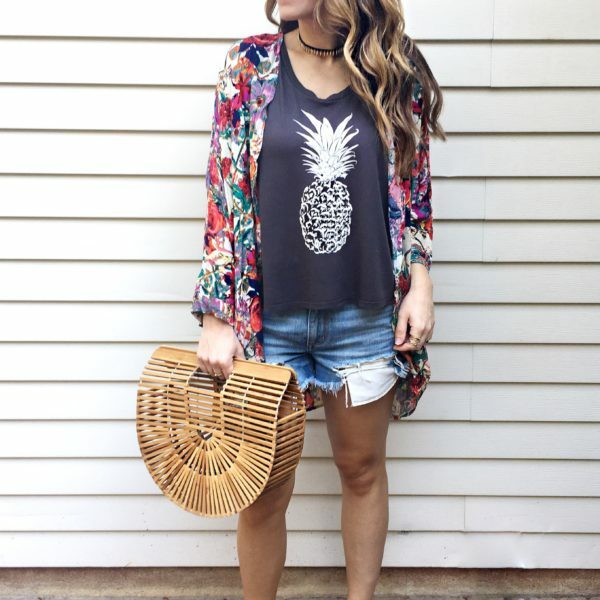 I would add a cute pair of heels or heeled booties to this look and a fun statement earring for sure! I’m wearing a small in the dress and an XS in the jacket. 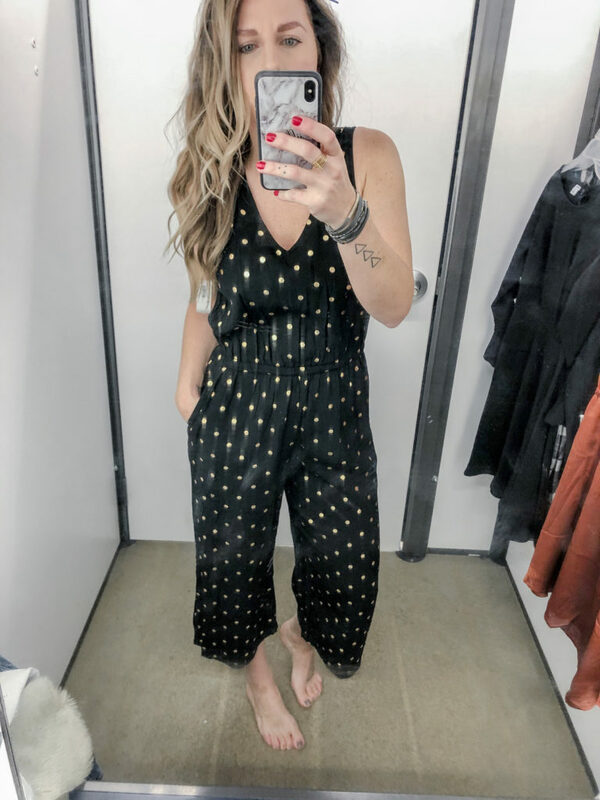 you know how I love me a good jumpsuit so I obviously had to include one in this roundup! 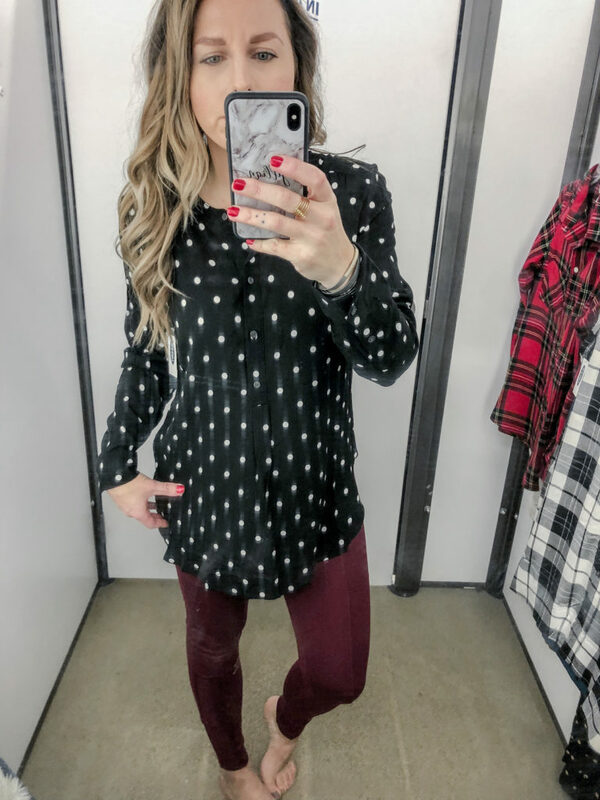 the gold polka dots add a festive touch and the fit is SUPER comfy! I’m wearing an XS in this jumpsuit. Be sure to head over to my Instastory for a quick walkthrough with videos from this try-on sesh and let me know which look you like best on my latest post!